Do you have Amazon Prime? 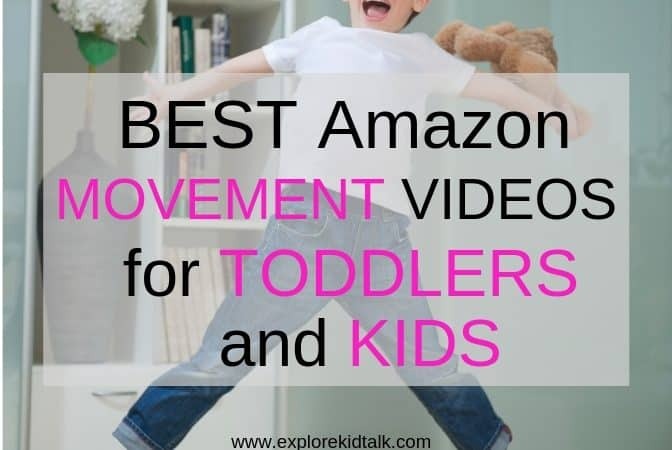 I am just finding these great videos to get your kids moving that are part of Amazon Prime Kids. Kids need to move and release energy more than you might think. You can’t always go outside. 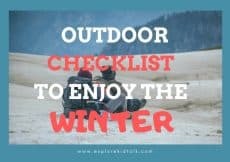 It’s too cold, or too hot or you just don’t feel like it today. Kids get antsy when they sit all day. Exercise and movement help children focus better too. Kids don’t need to go to a gym, run or lift weights. Kids need to play and move. Exercise doesn’t have to be done in one specific way. 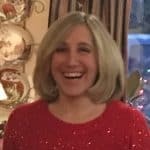 We need to change the way we teach our kids about exercise. If you have Amazon Prime then all these videos are free. They do offer other videos that you have to pay for. Though there are so many that are included in Prime there’s really no need to pay for extra videos. You can put a quick movement video on while you make dinner. I don’t allow my kids to watch a lot of TV. Exercise videos and kids movement videos are a different way for kids to get moving. 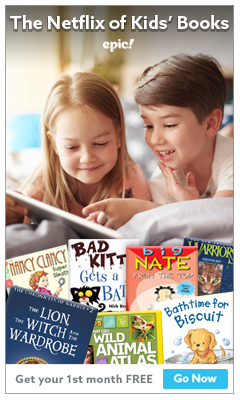 Amazon Prime Kids has many videos to choose from to make exercise more fun. You don’t need to use these videos each day, just as a way to switch things up. If you don’t have PRIME sign up here for these amazing benefits. 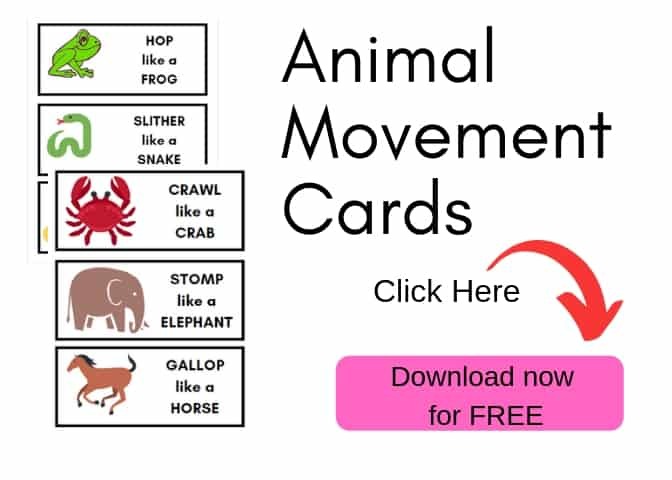 Print out these animal movement cards for a fun way to get moving. Physical activity needs to be a key part of everyday life for our children. Getting kids used to exercise will lay the foundation for a healthy life. Movement activities don’t have to be boring or something that they don’t want to do. It should be fun and engaging. 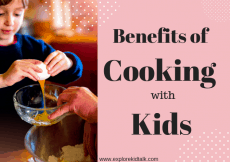 Regular exercise for kids is crucial for development. Exercise decreases symptoms of depression and anxiety in children. For more reasons about the benefits of children exercising read this article from the American Council on Exercise. Kids need to exercise every day. 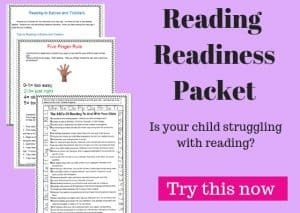 Use the animal movement cards and these videos to help get your child moving and releasing energy. This show has a little girl and boy doing the movements. It’s colorful and easy to follow along. The classic song with a cute cartoon. The well-known song that all parents have a love/ hate relationship with. Baby Shark by Ping Fong is a song we have all heard a million times. Here you can hear the song and watch a cute video. Teach your child to use their arms and pretend to be a shark. Make sure to run away at the end. For more ways to get your child moving at home, sign up for the Toddler Movement Challenge. This is a series. It’s a young woman who tells stories and you move along with the story. Each episode goes to a different place from the woods and a forest to Hawaii and wonderland. These stretching exercises will help improve flexibility. This is a series. Karate videos with an instructor and kids doing the movements. He is easy to understand and gives step by step instructions. Perfect show to learn dance moves. The instructor tells you the moves slowly and then puts them all together at a fast pace. Learn real dance moves at home. You learn 5 moves step by step and then put them together. It’s a great cardio video for kids. Easy moves that any kid can follow. These are dance and exercise videos. Young kids are the instructors with other kids following along. They play pop songs to help you get up and move. If you don’t have Prime yet, be sure to sign up. Click on the picture below. You don’t always need to use videos to get moving. 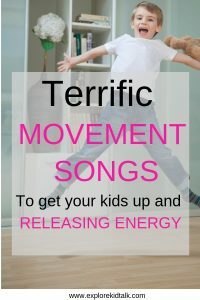 Play some songs that will naturally have your kids moving and jumping around. If you have the Echo from Amazon or Pandora you can play all these songs easily. These songs combine learning and movement. Play some music and dance around. Baby Shark is a favorite among all children. Show them how to make arms like a shark and run away. This is a bonus one because it’s also a book. Read the book then act it out. Jump and Hop like a frog. Do you remember this one? Teach it to your little one. What are some fun ways you get your kids moving? Comment below and share. 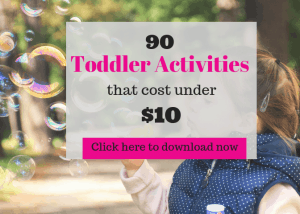 Are you looking for more toddler activities? 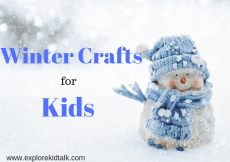 Looking for a way to entertain your little one? Get your Toddler Enrichment Ebook for everything toddler. 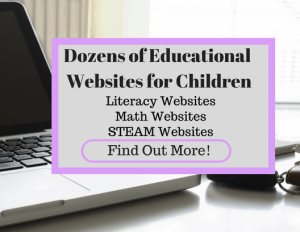 End your online search for toddler activities and toddler development. Want to remember this? 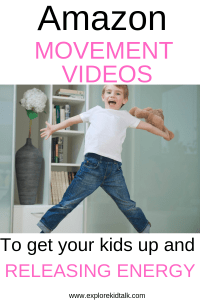 Post this Movement Videos for Toddler and Kids to your favorite Pinterest board!